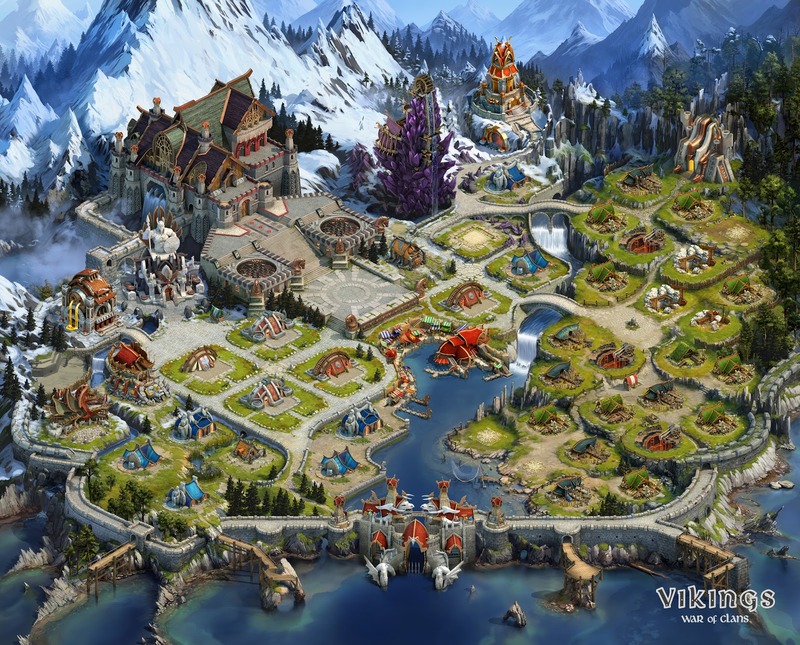 The town map is the essential element of every MMO strategy game; it’s the player’s virtual home and the center of their development. 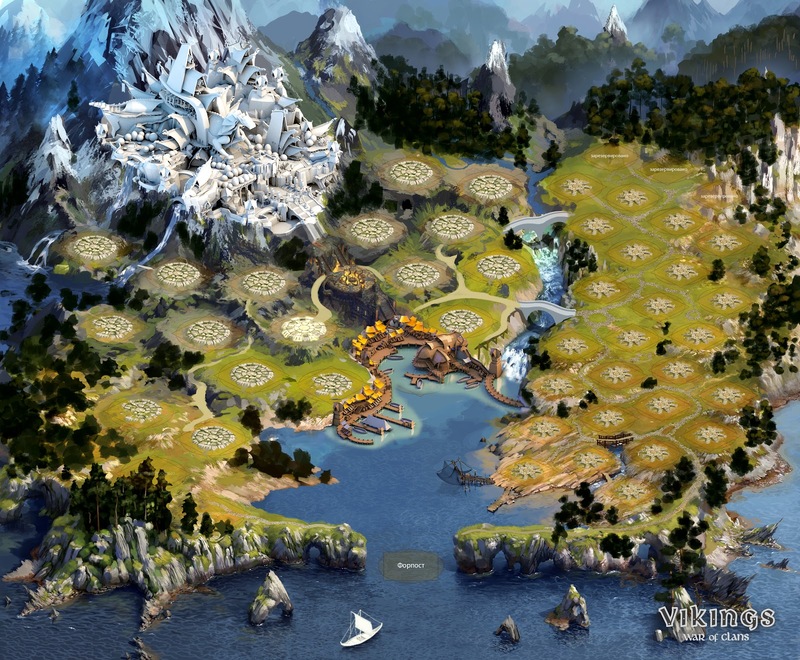 We would like to share our experience of creating such a map, using the Vikings: War of Clans project as an example. 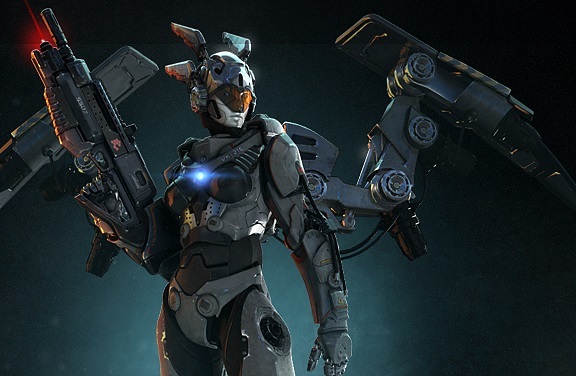 The main aim of work on each project is to provide players with the maximum immersion into the game world. The town map, as a visual component of the game, is designed for this. First off, we tried to connect with Viking life by studying Ancient Scandinavia through history books, films, and documentary sources. We took our inspiration from the landscapes of the Nordic countries and the architecture of the era. 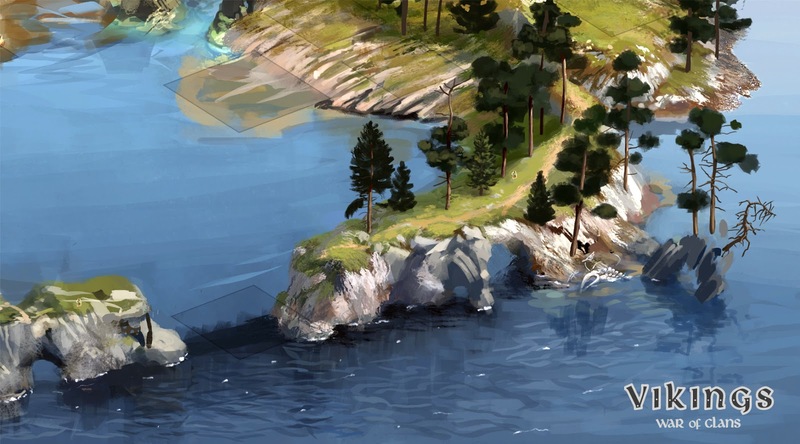 After we had carefully analyzed all the references that we had discovered, our artists began their meticulous work, and sketches of the future map began to appear. We aimed for maximum verisimilitude, but kept in mind that users expect colorful graphics. In order to maintain the balance between realism and imagery, our artists added a hint of fantasy to the style. A good map should meet the criteria for usability. 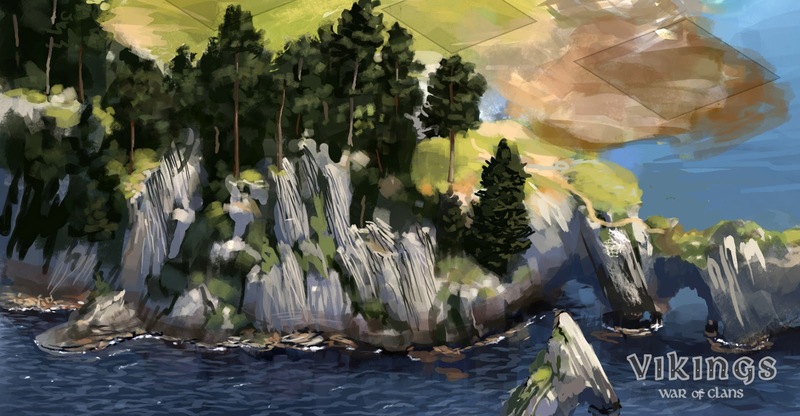 It was important to find the right proportion of empty sections and map elements (landscape objects, buildings) and not to oversaturate the general picture with small details. We needed to depict the elements on the town map clearly, so that a player would be able to navigate it easily. Another usability-related task was zoning — the harmonious visual separation of resource buildings from administrative ones. This was solved by using various textures, decorations, and the space between buildings such that they wouldn’t overlap. 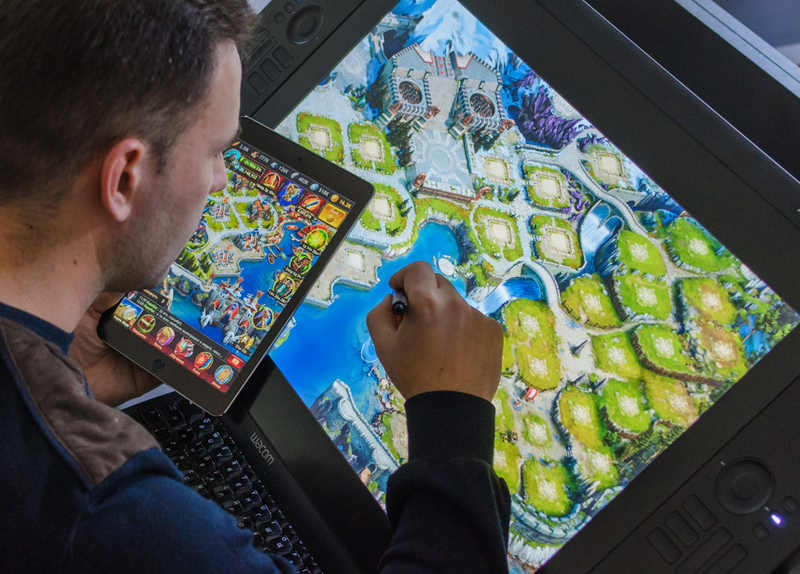 The process was complicated by the fact that the map was being created at the same time as the building concepts, so we had no idea how they would look. Nevertheless, the map, the objects on it, and the buildings ultimately had to combine well. To achieve this, dimensions that correlated to the scale of the whole map and its decorations were established for each building. These dimensions remained unchanged in sketches and modeling. 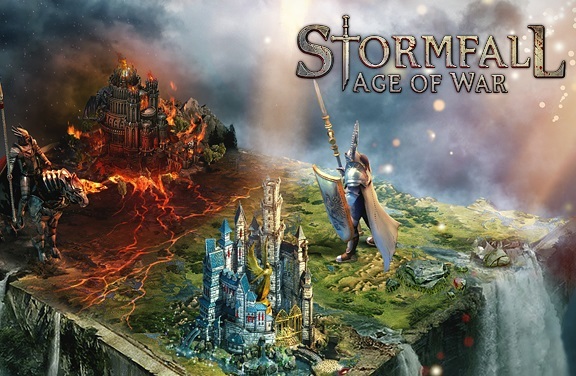 There are both 2D elements and three-dimensional models on the map. The artists inserted these into the map with subsequent refinement. 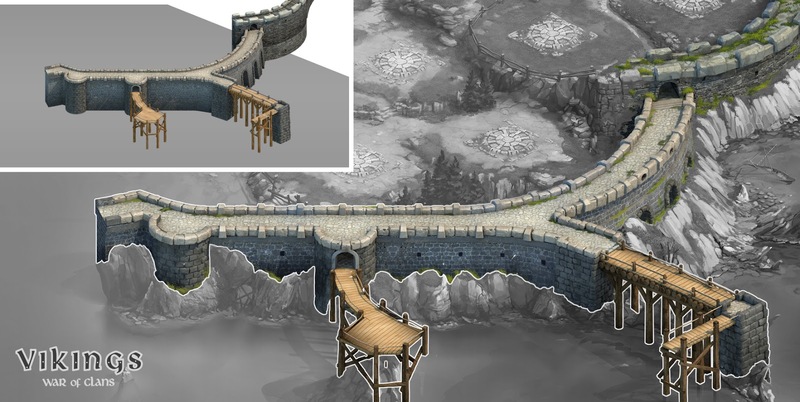 One example of the visual amalgamation of a 3D object and a 2D space is the wall. Another peculiarity of the map is the parallax effect, which creates the illusion of image depth. Regarding the map’s overall mood, we immediately dismissed any experiments with light, as this might have influenced how easily players perceived it. The effect of a clear, sunny day with relatively pure and bright colors conveyed our vision just right. Finding a compromise between our own creative view of the task, the merciless voice of rationality (from game designers and programmers), and, most importantly, user expectations proved a challenge. After four months of hard work, we finally finished creating the version of the town map that has become the in-game home to hundreds of thousands of Jarls all over the world. 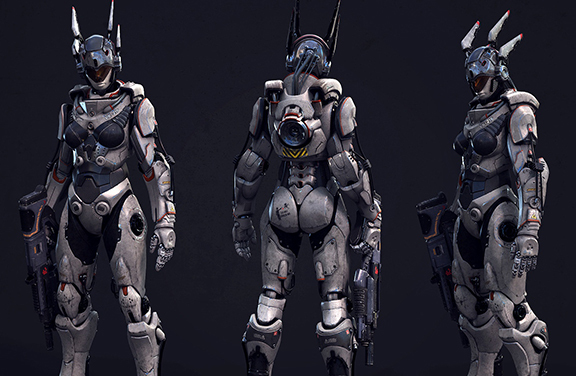 This was made possible thanks to the teamwork of the Plarium studio.